This pattern contains three "Super Simple" towel designs, and they are great for beginners! 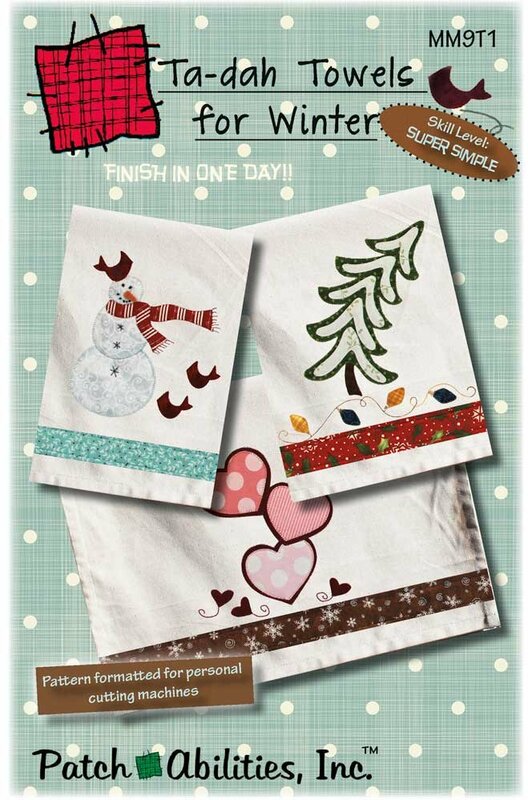 This pattern includes instructions for 3 Winter towel designs: Holiday Lights- a Christmas Holiday design featuring a snowy tree and Christmas lights, Snow Birds- a winter design that features a snowman in a scarf and his friends the cardinal birds, and Winter Hearts- a fun Valentine's towel design featuring appliqued hearts. Towels are not included. Skill Level: Super Simple. Finish in One Day project. Don't forget the button pack needed to finish your snowman. It can be ordered in the purchase options along with the pattern.